At a time when India is fuming diplomatically at the conversion of two minor Hindu girls to Islam in the Sindh province of Pakistan, a look at the religious composition of Pakistan’s population shows that the Hindu population has increased exponentially over a three-decade period. Pakistan in 2017 conducted its first census since 1998. Before 1998, the census was last been held in 1981. According to Pakistan Bureau of Statistics, the country’s population in 2017 was 207 million, growth of 146% from 1981. While Pakistan has not yet revealed the religious composition of its population in the latest census, the 1998 census pegged the population of Hindus at 2.1 million. In 1998, Hindus comprised 1.6 per cent of Pakistan’s population which made them the biggest minority group in the country. Assuming that the proportion of Hindus in Pakistan’s total population remained the same, the number of Hindus in Pakistan, according to its latest census, would be around 3.3 million. Since 1981 until the latest census, the Hindu population in Pakistan had grown 93 per cent. The Muslim population of Pakistan during the same period had increased one-and-a-half times. The Hindu population in India during the three-decade period from 1981 to 2011 grew by 72 per cent. Unlike Pakistan, India has always conducted and published its census on time. The Muslim population in India more than doubled during this period. Even though Muslim populations in both India and Pakistan more than doubled, the Muslim population in India grew at a relatively slow pace of 114 per cent. A majority of Pakistani Hindus live in the Sindh province of Pakistan. While Christians in Pakistan also constitute a proportion of the population similar to Hindus, they are more concentrated in Pakistan’s urban areas, especially Islamabad. Hindus who are primarily concentrated in Sindh constitute almost 10 per cent of the province’s rural population. 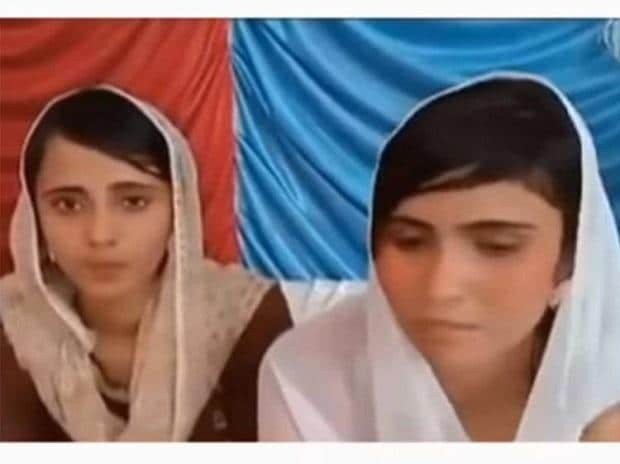 The district of Ghotki, where the conversion of the two minor Hindu girls named Raveena and Reena took place, is one of the bigger districts of Sindh with a population of 1.6 million. Ghotki’s population has grown faster than that of the entire Sindh province from 1998 to 2017.